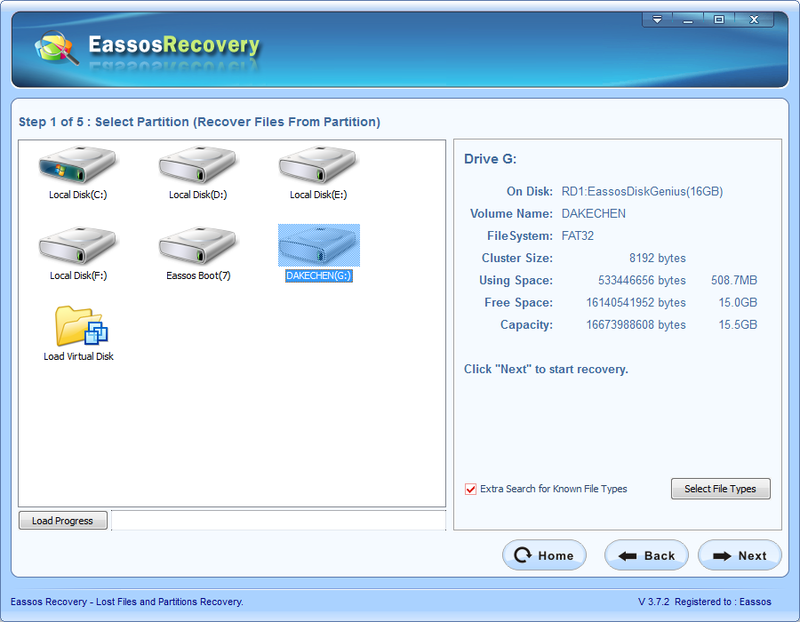 Want to recover deleted files from USB drive, SD card, pen stick, hard drive, etc.? Here is a detailed guide which shows how to restore deleted data. You can use this guide to do USB data recovery easily. The development of USB storage devices has undergone a fast process in the past a couple of years. They were expensive, unreliable and only can store small amount of data. Yet, they are totally the opposite. At present, they are frequently used to transport and save files like pictures, documents and other types of data. The popularity of USB drive gives the credit to that they are small, very portable and can store mass of data. Furthermore, they can provide larger capacity and faster read and write speed than CDs and floppy drives. Unfortunately, they still can fail to work and data can be lost because of accidental deletion or formatting, software malfunction, RAW drive, sudden power failure, virus, etc. Once such problem happens, what you should do is looking for recovery software and regain lost files. How to recover deleted files from USB drive? 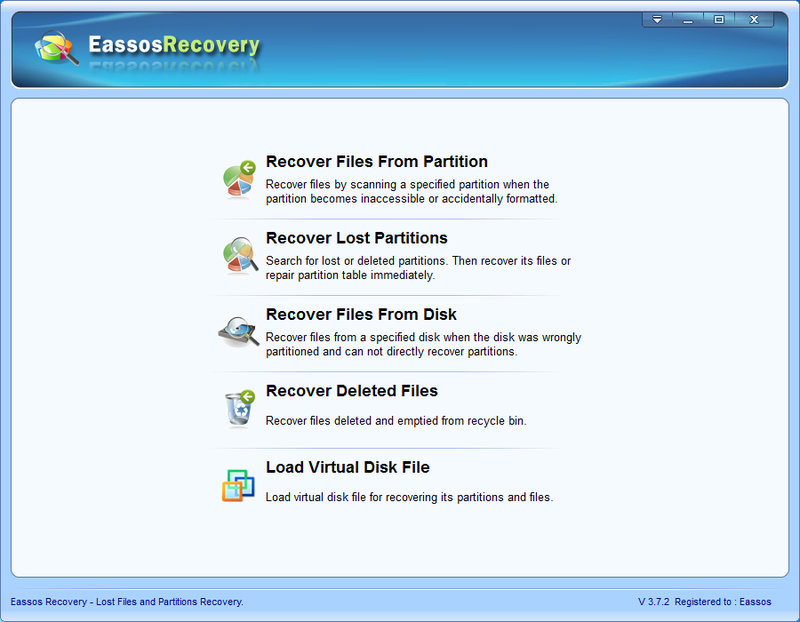 Eassos Recovery is secure, effective and reads-only USB recovery tool for USB data recovery and file recovery. It enables you to restore photos, videos clips, music, apps, documents, emails and other types of data from USB storage devices that caused by formatting, deletion, file system error, malware, virus, etc. The following steps shows how it works. Step 1: Get the USB drive plugged and start Eassos Recovery. Free download and install this USB recovery tool on your computer or laptop that runs Windows. Connect the drive from which you want to recover deleted files to the computer. Then, get the software started and select correct recovery feature. Step 2: Scan the USB drive for lost files. Select the USB drive from the software and click “Next” button for scanning. This process won’t take too much time since USB drive usually has small capacity compared with hard drive which can be 4TB. Step 3: Check wanted files and recovery. After scanning, all files found by the recovery software will be listed. You can double click any item from the list and preview it, by which you can find desired files for recovery easily. Check files you want to recover and set a target location to store these recovered files. The USB drive mustn’t be used for any operation except file recovery from the evert time you know important files get lost. If not, lost data might be destroyed and overwritten. The target location which is used to store recovered files should be set to another place which is independent from the USB drive, such as the local hard drive of your computer. 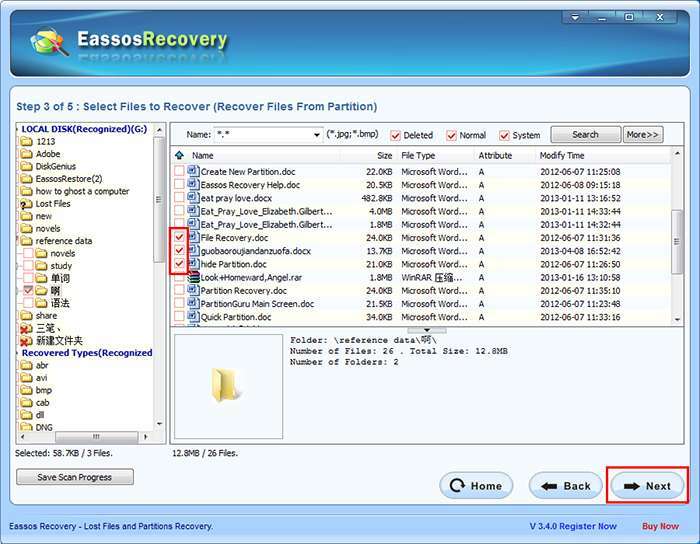 This entry was posted in Data Recovery and tagged how to recover deleted files, recovery software, USB data recovery, USB file recovery by EASSOS. Bookmark the permalink.